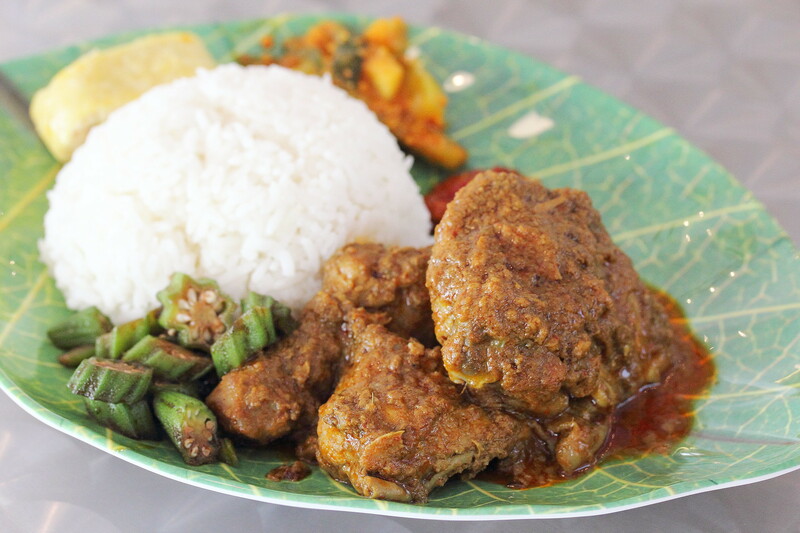 With the closing of Lavender Food Square, Old Bibik has to look for a new location to continue selling their popular nasi padang. The two young gentlemen Adrian and Ah Wee who has quitted their corporate jobs inherited Adrian's grandma's rendang recipe and live a bigger dream moving from a small hawker stall to a full fledged eatery with the recently opening of Old Bibik Peranakan Kitchen at MDIS Building along Changi Road. With the new location, they have expanded their menu and also employed a peranakan chef to introduce my delicious and authentic nonya dishes to the table. After months of Lavender Food Square closure, I finally get to try Old Bibik's signature rendang again. 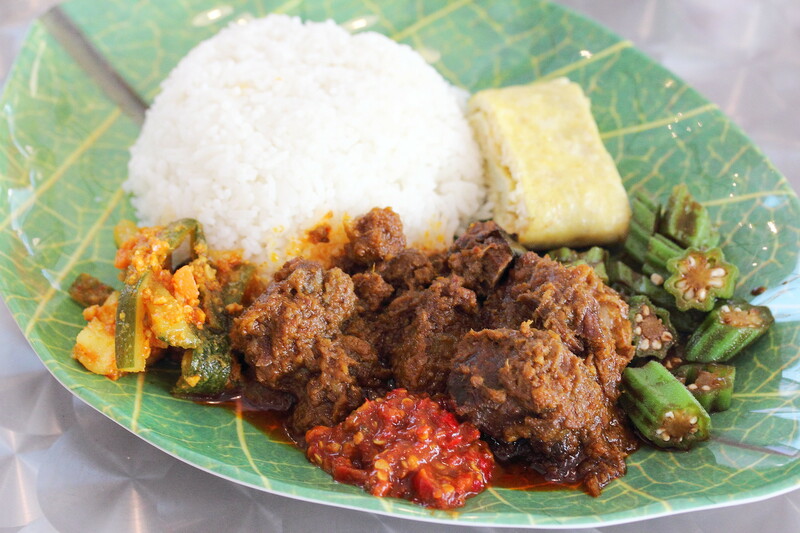 The Beef Rendang Set ($8.90) and Chicken Rendang Set ($7.90) comes with achar, vegetable and an egg omelette at the side. 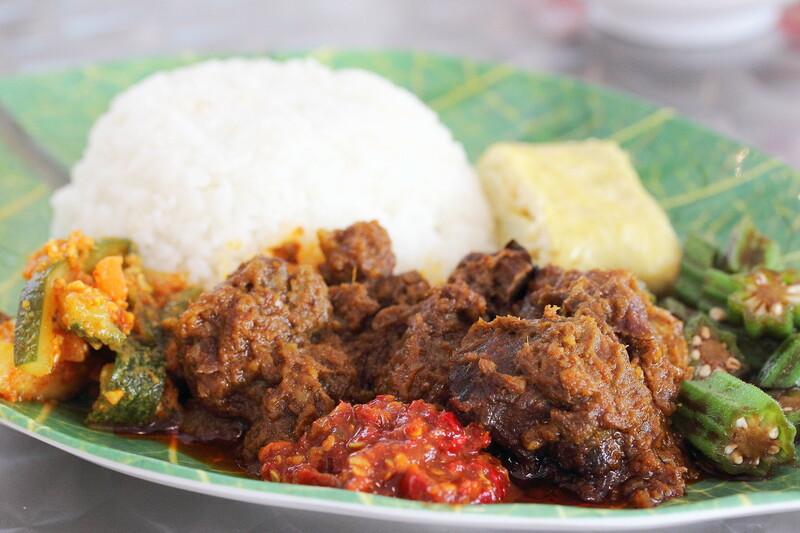 Infused with the rich flavour of the spices, the beef and chicken rendang were cooked to fork tender. Paired it with the belachan for a good spicy kick that will blown you off with its spiciness. 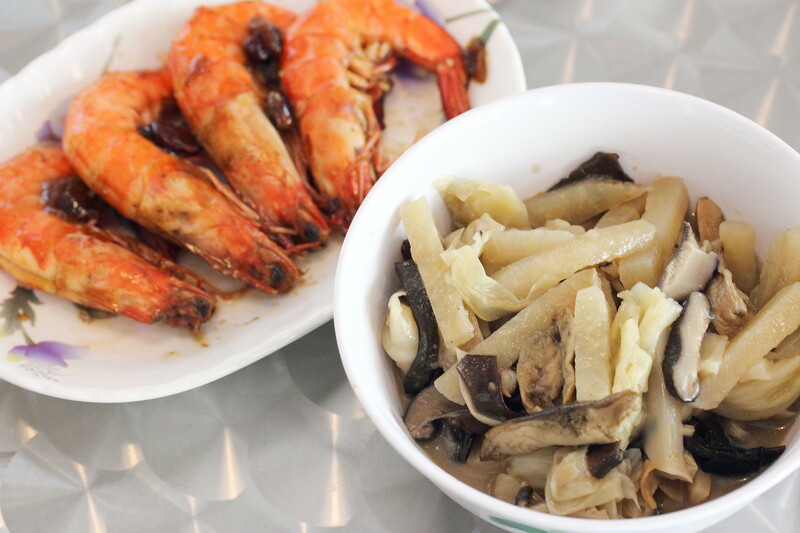 The extended menu also offers other dishes such as the Assam Prawns ($12), Nonya Chap ($5) and Assam Egg ($3). The fresh and crunchy prawn cooked in assam was a good addition to the menu. The Nonya Chap on the other hand was cooked to a nice crunchy bite but I do not like the sourness version served here. I preferred the sweeter type where the vegetables are stewed to a soft melting texture. The owners shared with us that surprisingly this is the most popular item on the menu. 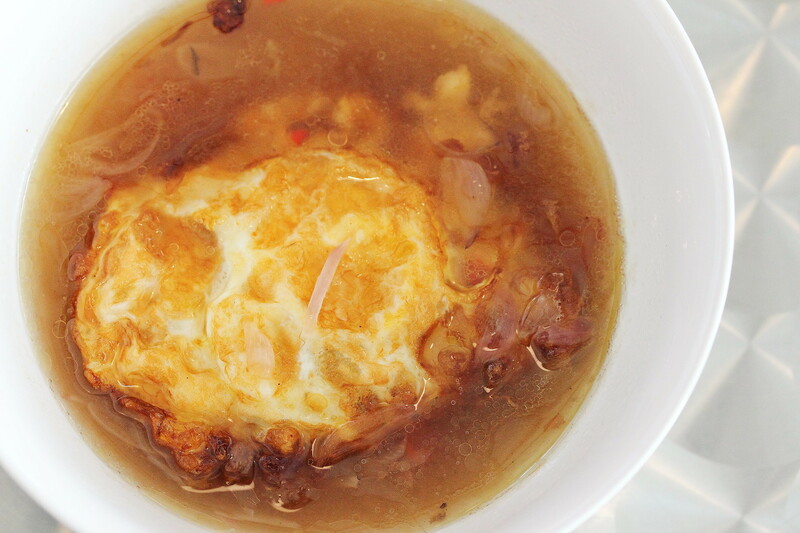 I understand the painstaking effort to make the assam for the egg but I just could not figure out how this could be such a hit. Probably you need to try it yourself to know why. For me the new dish to watch out at Old Bibik is the Kunyit Fried Chicken ($4). 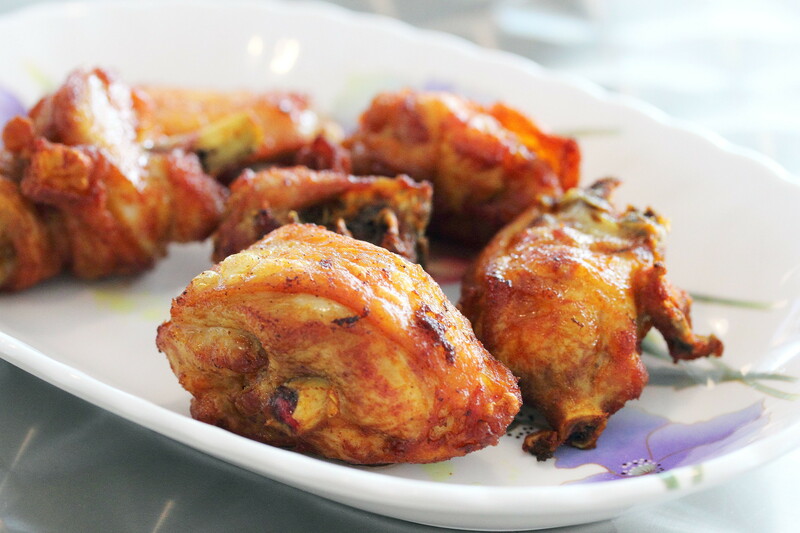 Beautifully marinated, the frying further lifted the aroma of the turmeric exciting all the taste buds with the delicious succulent chicken. 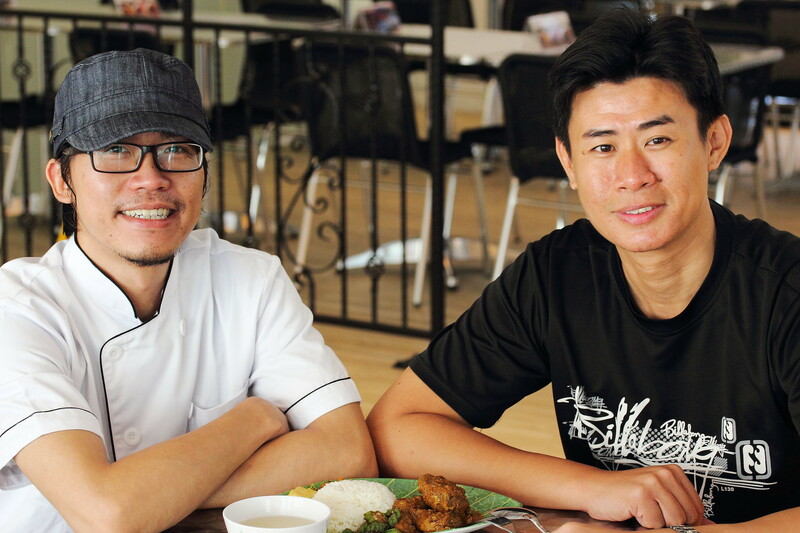 Old Bibik Peranakan Kitchen will be taking part in this year Ultimate Hawker Fest 2014 sacrificing their time and doing a small part in the fund raising event to help the needy and disadvantaged under the care of Touch Community Services. Old Bibik will be selling their signature Beef and Chicken Rendang at the event for delight your palate while you do a part of the charity.